GARDENA — It is a foregone conclusion that the winner of the Nov. 8 election in Senate District 35 will be a Democrat and a former member of the State Assembly. That description fits both Warren Furutani and Steve Bradford, who finished ahead of two other candidates in the June primary. Furutani received 24.44 percent of the vote to Bradford’s 35.58 percent. The third-place finisher was Compton City Councilmember Isaac Galvan, a Democrat. The fourth candidate was Republican Charlotte Svolos. The winner next week will succeed State Sen. Isadore Hall, a Democrat, who is running for the 44th Congressional District seat held by Democrat Janice Hahn, who is running for the Los Angeles County Board of Supervisors. Both Hall and Hahn have endorsed Bradford. District 35 includes all or parts of Carson, Compton, Gardena, Hawthorne, Inglewood, Lawndale, Long Beach, Watts, San Pedro and Torrance. Furutani, 69, represented Assembly District 55 from 2008 to 2012 and previously served on the Los Angeles Unified School District Board of Education (elected in 1987 and named board president in 1991) and the Los Angeles Community College District Board of Trustees (elected in 1999). He ran for the Los Angeles City Council seat vacated by Hahn when she was elected to Congress, but lost to Joe Buscaino in 2012. Buscaino, whose district includes San Pedro, endorsed Furutani for Senate last year. Bradford, 56, served on the Gardena City Council, where he was the first African American member, from 1997 to 2009 and represented Assembly District 62 from 2009 to 2014. He was previously a marketing representative with IBM from 1983 to 1990. He briefly ran for the Senate seat in 2014. Furutani says his experience as an elected official informs his focus on “The Four E’s” — education, the economy, the environment, and the elderly. One of his proposals is a statewide system for career technical education that maximizes cooperation among the California State University system, community colleges, adult education and other entities. His endorsers include Vote Progressive California, an organization of Bernie Sanders supporters. 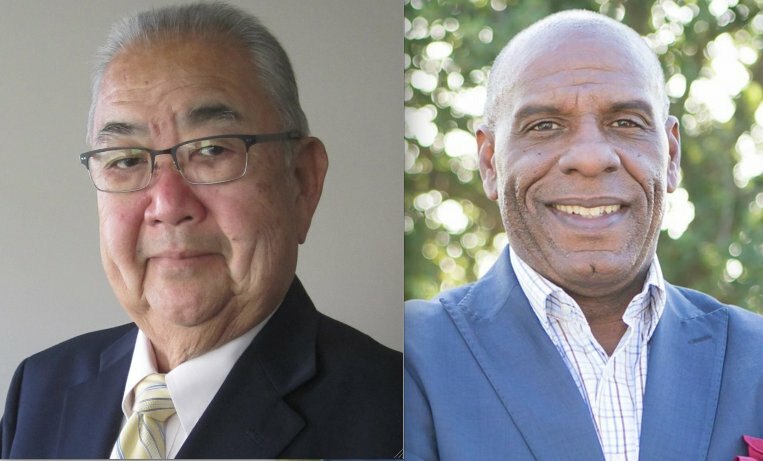 Furutani said in a statement, “As a lifelong progressive myself who first got a taste of activism in the civil rights struggles of the ’60s and ’70s, I am honored to be endorsed … I’ve dedicated my life to the fight for equal opportunity, community empowerment, and economic growth. As progressives, we champion peace, social, economic and racial justice, civil liberties, human rights, a sustainable environment, and a reinvigorated democracy. Furutani’s backers also include former U.S. Secretary of Transportation Norman Mineta; State Controller Betty Yee; State Treasurer John Chiang; Reps. Tony Cardenas, Mike Honda, Ted Lieu, Alan Lowenthal, Mark Takano and Norma Torres; State Sens. Ed Hernandez, Connie Leyva and Richard Pan; Assemblymembers Rob Bonta, Ed Chau, David Chiu, Kansen Chu, Evan Low, Phil Ting and Das Williams; former Assemblymember Al Muratsuchi; Carson Mayor Pro Tem Elito Santarina; Gardena Mayor Pro Tem Tasha Cerda; and Hawthorne Mayor Alex Vargas. Furutani has made joint campaign appearances with a fellow Japanese American Democrat, Muratsuchi, who is running to regain the 66th Assembly District seat that he lost two years ago. Among Bradford’s endorsers are the California Democratic Party; Reps. Karen Bass and Tony Cardenas; Lt. Gov. Gavin Newsom; Secretary of State Alex Padilla; State Superintendent of Public Instruction Tom Torlakson; Board of Equalization members Jerome Horton and Fiona Ma; State Senate President Pro Tem Kevin de Leon; State Sens. Ricardo Lara, Holly Mitchell, Ben Hueso, Marty Block, Jerry Hill, Cathleen Galgiani, Bob Wieckowski, Carol Liu, Bill Monning, Fran Pavely and Richard Roth; 32 members of the Assembly; former Assemblymember George Nakano; Carson Mayor Albert Robles and Mayor Pro Tem Lula Davis-Holmes; Gardena Mayor Pro Tem Mark Henderson and City Councilmember Rachel Johnson. Some names appear on both endorsement lists, including Rep. Judy Chu, State Sens. Ben Allen and Jim Beall, Assembly Speaker Anthony Rendon, Gardena City Councilmembers Terrence Terauchi and Dan Medina, Gardena City Treasurer Ingrid Tsukiyama, and the UFW. A Furutani press release about the survey emphasized one of the negative statements about Bradford, that he “was accused of flashing an honorary badge in an attempt to make people think he was a police officer” in two separate incidents.